Building the Box for Making Boxes. 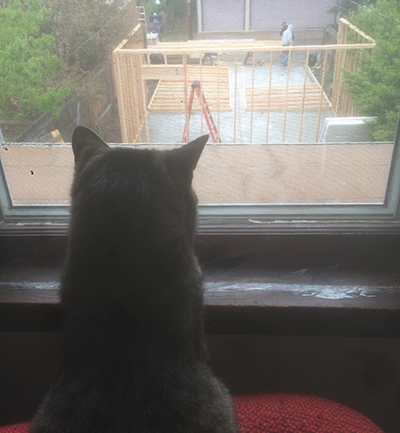 One rainy spring morning in 2016, Brienne that cat looked out at people making loud noises in the backyard. Her paradise of weeds, broken bricks, and gravel had dissappeared. Big change was afoot. My craft has gradually afforded me better tools, machinery, and bigger studio space to rent over the years. Each time I saved up for a new tool it was very excillerating. It allowed me to perfect new skills and find more efficient high quality production techniques. 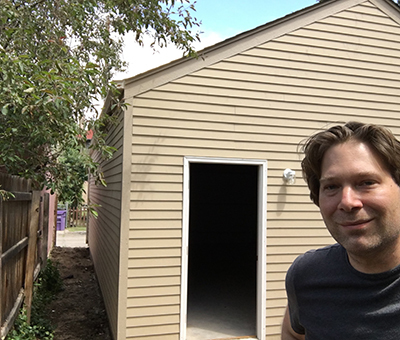 After 16 years, my work has allowed me to create a permanent studio for myself. 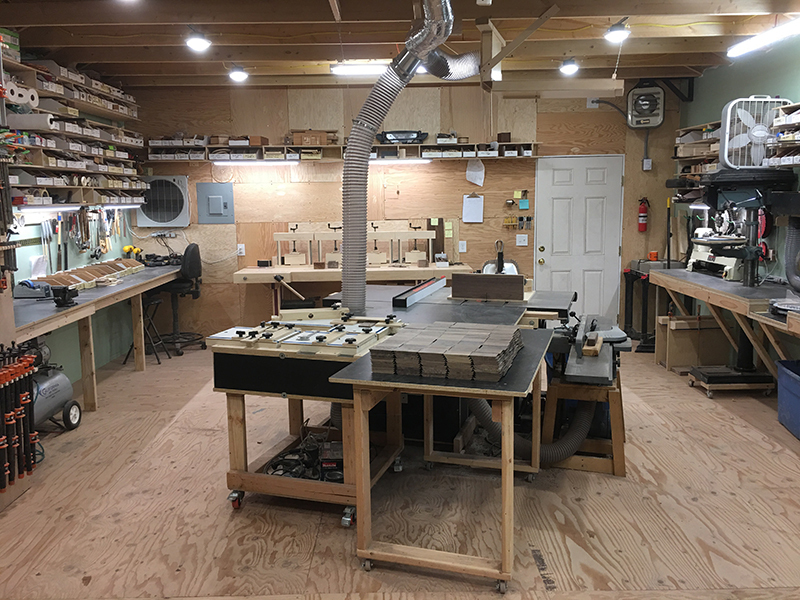 It is a woodshop behind my house, where I will be making more boxes for many years to come, easily another 16 years, and probably another 16 after that. Thanks everyone who has supported me and helped me create a home for my work.